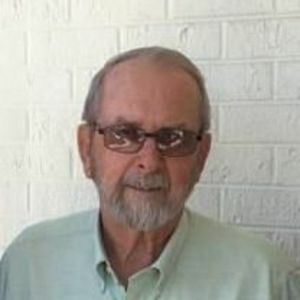 HAMPTONVILLE- Roy "Lester" Shore, 77, went home to be with the Lord on August 24 after a short illness. Born April 28, 1940 in Yadkin County, he was the son of the late Roy and Opal Johnson Shore. Lester was a loving and caring husband, father and grandfather. He was a charter member at Charity Bible Church where he was the chairman of the board of Deacons. Lester retired in 2004 from Coca-Cola Consolidated after 40 plus years of service. In retirement, he enjoyed working on his farm with his various animals. Lester had many talents and skills and could be counted on to help his family, his church and his friends. In addition to his parents he is preceded in death by two sisters, Louise and Estelle. Left to cherish his memory is his loving wife of 58 years, Thelma Johnson Shore; daughters, Charlene Shore Smith (Kevin) and Mischele Shore Wooten (Kevin); grandchildren, Caitlin Smith Ahuja (Akshay), Clinton Smith, Joshua Wooten and Seth Wooten and many other loving family members and friends. A celebration of life service will be held on Saturday, August 26, 2017, at 2pm at Charity Bible Church in Hamptonville with Pastor Brian Sipes and Robbie Sipes officiating. Burial will follow in the church cemetery. The family will receive friends from 6-8pm Friday, August 25, 2017 at Bunch-Johnson Funeral Home in Statesville. In lieu of flowers memorials may be made to Gordon Hospice House 2341 Simonton Road, Statesville, North Carolina 28625. Bunch-Johnson Funeral Home is honored to be serving the Shore Family.